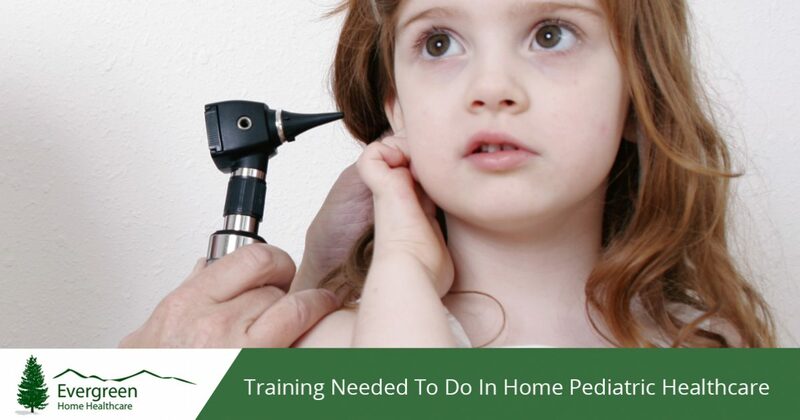 Pediatric Health Care Westminster: What Training Is Needed for Home Healthcare? At Evergreen Home Healthcare, we know that every home care need is as different as the patients we care for, so we have created a team of highly-trained and compassionate in-home care providers. Our staff includes certified nursing assistants (CNAs), licensed practical nurses (LPNs), and registered nurses (RNs). In addition to our trained nurses and nursing assistants, we employ speech, occupational, and physical therapists who can bring the rehabilitation and therapy your loved one needs to your home. And, to ensure you and your family are receiving the best care possible, we have medical social workers on staff who can help you navigate everything from medical care to financial planning for long-term care. A large percentage of the services provided by in-home adult and pediatric health care providers, like Evergreen Home Healthcare, fall under the umbrella of private duty nursing. Because so many different levels of care are needed, most in home pediatric health care providers have a staff of people with different levels of medical training. This means that, if your loved one needs help with ambulation or you need a helping hand with your loved one’s personal hygiene needs, a CNA can come to your home on a regular schedule to take care of moving and bathing a loved one with limited mobility. 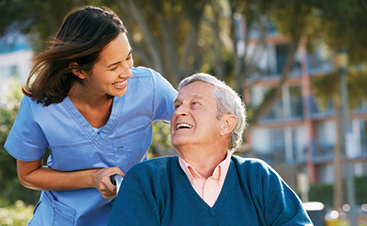 At the other end of the medical care spectrum, if you have a loved one who is medically fragile and needs round-the-clock medical care, medicine administration, wound care, and catheter/ostomy care, home healthcare providers can send an LPN or RN with a higher level of training and certification to help those who need it. Private duty nursing can be scheduled on an acute or long-term care basis as needed; however, home medical care like this is often prescribed by a doctor so it can be partially or fully covered by health insurance, so be sure to ask your doctor if this sounds like a service that would benefit your loved one. In addition to at-home nursing and medical care, pediatric home care services also provide an array of rehabilitation and therapy services. If you have a special needs child who meets with a speech pathologist weekly, but mobility is a problem, our in-home pediatric health care team can send someone specially trained in pediatric speech therapy to your home to offer the same attention and care in the comfort of your home. 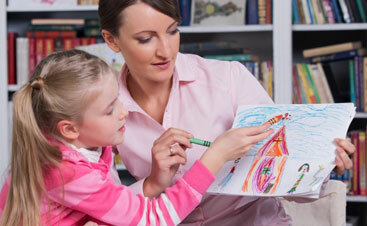 While Evergreen Home Healthcare specializes in pediatric health care, we do also work with adults and seniors. If, for example, you have a loved one who has Alzheimer’s and is losing motor function and mobility, a physical therapist can come to your home to help your loved one learn workarounds for mobility as well as teach you and your family ways to help. If taking your loved one to therapy frequently is a drain on your time and resources, talk to Evergreen Home Healthcare to see how our staff can bring adult and pediatric occupational therapy, speech therapy, or physical therapy to your home instead. For the team at Evergreen Home Healthcare, ensuring the best quality of life possible is one of our staff’s primary goals. This is why our staff are all well-trained, certified, licensed, and insured and why we offer as much variety in our pediatric home care services as we can. In addition to therapy and medical care, we also hire medical social workers who can help you with the evaluations, planning, and education you may need. Whether you are new to home healthcare or have been helping your loved one with the care they need for years, a medical social worker can run evaluations and help you create a long-term care plan that will not only help plan the best benefit for your loved one’s health, but also what measures can be put in place to help your family as a whole, including financial planning. 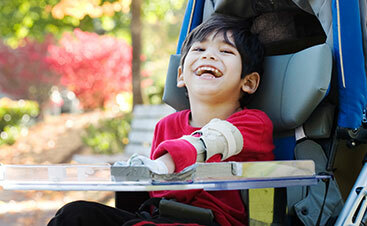 If you’re interested in pediatric health care, call Evergreen Home Healthcare to learn more about what you can do to get help and provide care for your special needs child or loved one in Westminster. Contact us today!